Flying business class can be an experience worth traveling for. But it can also be an experience worth quitting for. The toughest side effect of long business trips, is life disruption. Those trips take you out of the context of your life and put you in the context of poor naps, sore necks, questionable food and tough jet lag. These are more than enough reasons to disrupt not just your plans, but your working performance, your sleeping patterns, as well as your social life. EVA is a 5-star Taiwanese airline, with over 60 international destinations and very business-oriented travellers. 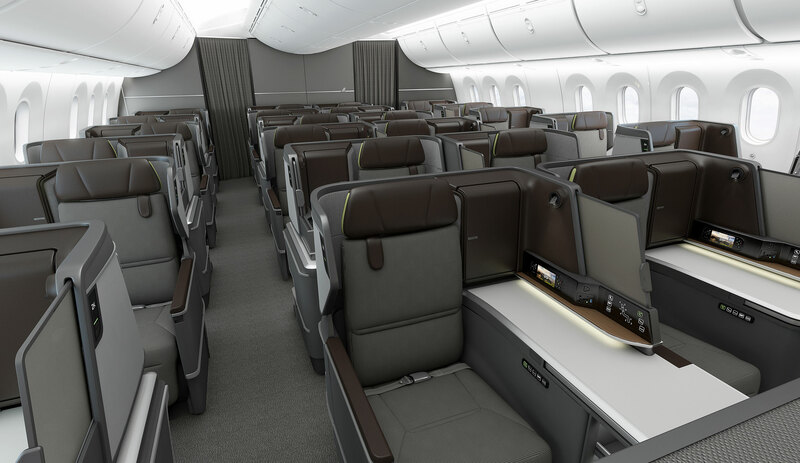 Our task was to design a business class that gives travellers an uncompromised, premium in-flight experience. When you are travelling for pleasure, disrupting the rhythm of everyday life, is part of the fun. For business travellers, that’s a necessary evil. “Good design goes unnoticed – when everything is in the right place and natural to use your experience becomes seamless, you don’t notice it, because it is just right.” Johannes Lampela, Director of Design. Influenced by contemporary architecture and furniture design. An accessible place for everything. Taking a proven seat platform and making it unique to EVA. A modern and spacious cabin. An experience worth travelling for. The moment you walk into the airplane cabin, you instantly know if this is going to be an enjoyable ride, or the longest 9 hours of your life. There’s a big difference between travelling business and travelling for pleasure. But the one thing it has in common for an individual, is disruption. We believe that one of the best, most valuable thing a business class can offer its passengers, is to help them off-set that disruption. That’s why we designed a space where travellers can easily carry on with their life, and pick up where they left off once they are on board. From working and sleeping, to watching a movie, or simply having a drink and talking to the person next to them. That’s why we built a full scale mock up so we could explore all aspects of the passenger experience. We paid attention to everything, from privacy, service, interaction, stowage, and amenities, we explored the holistic passenger experience. By anticipating the needs of the business class passengers of the future, Designworks created a space that puts the passenger in the center, allowing their needs and habits to mold the space and to create a personal experience within the branded experience of the airline. We applied horizontal lines to the seat and cabin to create a sense of calm and space. Colour blocking from dark to light, to create that natural feeling of grounding and lift. The seat is intentionally muted with a combination of warm gray and brown tones complementing the colorful accents provided by EVA signature service and amenities.